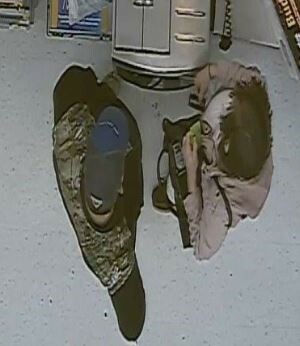 According to a report filed with the Jefferson County Sheriff’s Office a business was burglarized March 22, 2019, approximately 9:00 p.m., in the 3300 block of Cahaba Road. Detectives obtained surveillance video images of the pictured person they believe to be involved. He is described as a black male with gray beard and bald head, 6’ to 6’2” tall, and 180 to 210 lbs. If you recognize this person, or know anything about this crime, please contact Crime Stoppers of Metro Alabama. You remain anonymous, and the information you provide to Crime Stoppers leading to the charge and arrest of an identified suspect could result in a cash reward. According to detectives with Trussville PD the pictured person is suspected of stealing merchandise from a Home Depot in their jurisdiction. They obtained this surveillance video image of him, and have reason to believe he may be from the Jasper area. If you recognize this person please contact Crime Stoppers of Metro Alabama. You remain anonymous, and the information you provide to Crime Stoppers leading to the charge and arrest of an identified suspect could result in a cash reward. 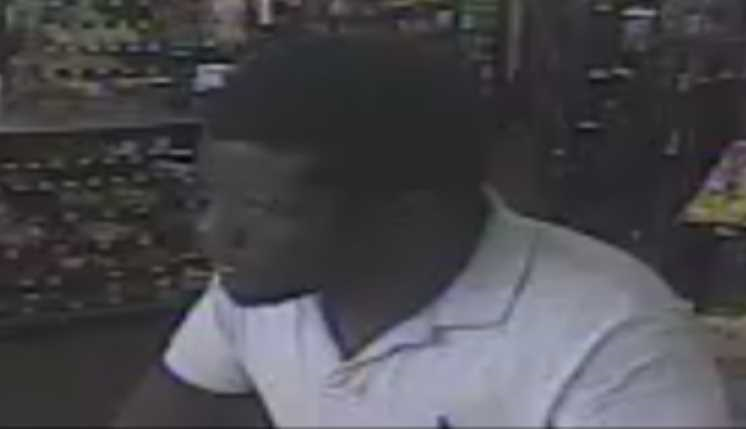 Birmingham PD Detectives need help in identifying a Robbery suspect. 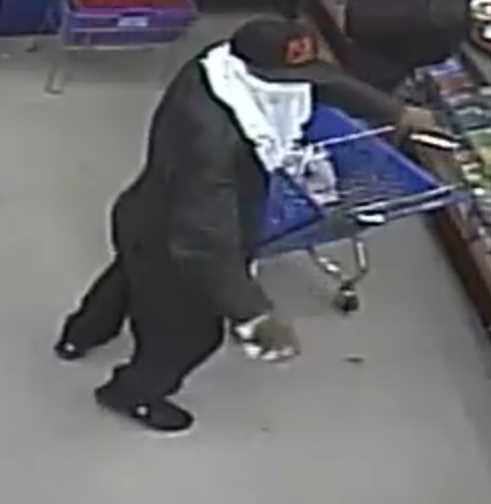 According to a report filed with Birmingham PD, a robbery occurred on March 20, 2019, approximately 8:20 p.m., at a Family Dollar in the 2000 block of Avenue F Ensley. 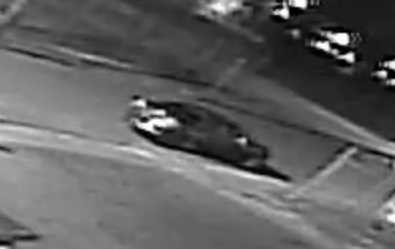 Detectives obtained surveillance video images of the pictured suspect and suspect vehicle. The suspect is described as a black male approximately 6’ 1” in height and approximately 165 pounds. The vehicle is described as black in color. If you recognize this person, or know anything about this crime, please contact Crime Stoppers of Metro Alabama. You remain anonymous, and the information you provide to Crime Stoppers leading to the charge and arrest of an identified suspect could result in a cash reward. 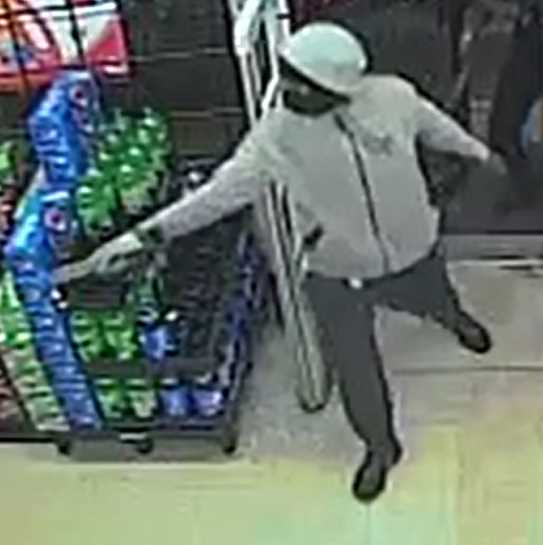 According to a report filed with Birmingham PD a robbery occurred on March 11, 2019, approximately 1:30 p.m., at a Dollar General in the 4600 block of 5th Avenue South. Detectives obtained surveillance video images of the pictured suspect. If you recognize this person, or know anything about this crime, please contact Crime Stoppers of Metro Alabama. You remain anonymous, and the information you provide to Crime Stoppers leading to the charge and arrest of an identified suspect could result in a cash reward. Birmingham PD Detectives need help in identifying Robbery suspects. 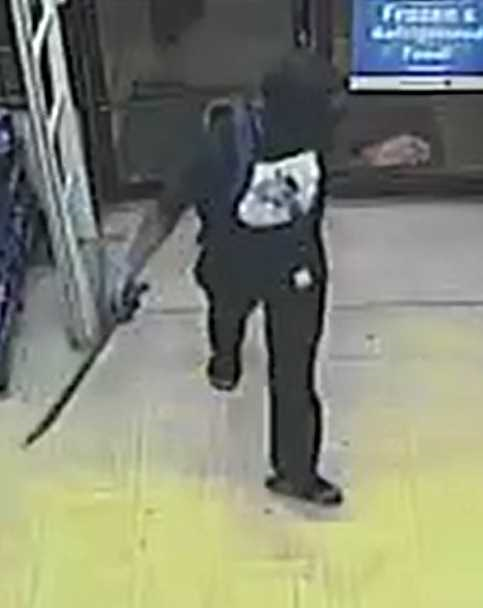 According to a report filed with Birmingham PD, a robbery occurred on March 20, 2019, approximately 9:30 p.m., at a Family Dollar in the 1300 block of Bessemer Rd. Detectives obtained surveillance video images of the pictured suspects. They were described as two black males wielding swords. 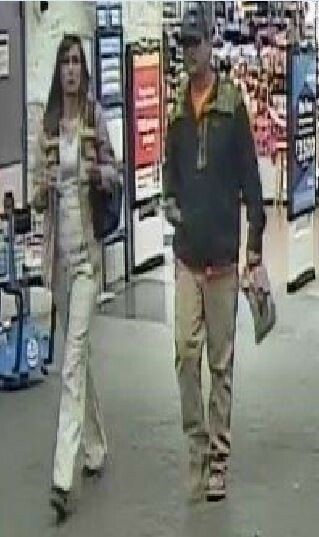 If you recognize these persons, or know anything about this crime, please contact Crime Stoppers of Metro Alabama. You remain anonymous, and the information you provide to Crime Stoppers leading to the charge and arrest of an identified suspect could result in a cash reward. According to a report filed with Mountain Brook PD a victim’s credit cards were stolen from her purse on March 6, 2019, approximately 1:45 p.m., while she was at work. A few hours later, the victim received reports of several transactions against 3 of her stolen debit/credit cards . These transactions occurred at the Walmart in Homewood. Detectives obtained surveillance video images of the pictured female suspects they believe used the victim’s card. If you recognize either of these suspects, or know anything about this crime, please contact Crime Stoppers of Metro Alabama. You remain anonymous, and the information you provide to Crime Stoppers leading to the charge and arrest of an identified suspect could result in a cash reward. According to a report filed with Irondale PD a victim’s purse was stolen on January 15, 2019, approximately 8:00 p.m., during an event at Shades Valley High School. The next day the victim received report of several transactions against one of her debit cards stolen along with the purse. These transactions occurred at the Walmart in Leeds. Detectives obtained surveillance video images of the pictured male and female suspects they believe used the victim’s card. If you recognize either of these suspects, or know anything about this crime, please contact Crime Stoppers of Metro Alabama. You remain anonymous, and the information you provide to Crime Stoppers leading to the charge and arrest of an identified suspect could result in a cash reward. According to a report filed with Birmingham PD a robbery occurred March 17, 2019, approximately 3:00 p.m., at a Metro PCS in the 1100 block of Huffman Rd. Detectives obtained surveillance video images of the pictured suspect. He is described as 20-45 years of age and 5’10” to 6’2” tall. If you recognize this person, or know anything about this crime, please contact Crime Stoppers of Metro Alabama. You remain anonymous, and the information you provide to Crime Stoppers leading to the charge and arrest of an identified suspect could result in a cash reward. According to a report filed with Birmingham PD a robbery occurred March 14, 2019, approximately 9:00 p.m., at a Walgreens in the 100 block of Green Springs Highway. 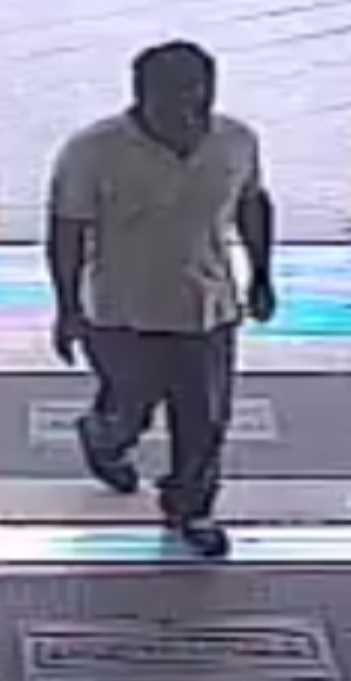 Detectives obtained surveillance video images of the pictured person they believe to be involved. He is described as a black male with dark complexion and a gap in this teeth, 18-30 years of age, 5’6” to 5’8” tall, and 140-150 lbs. If you recognize this person, or know anything about this crime, please contact Crime Stoppers of Metro Alabama. You remain anonymous, and the information you provide to Crime Stoppers leading to the charge and arrest of an identified suspect could result in a cash reward. 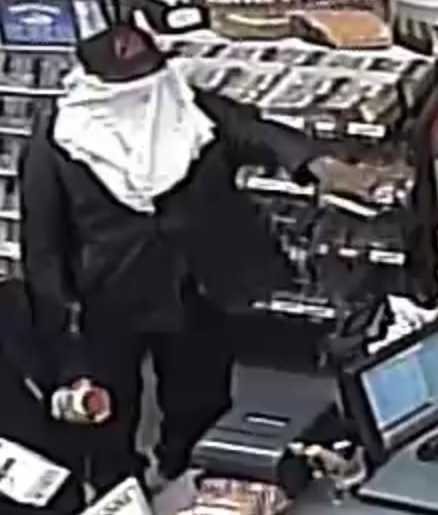 According to a report filed with Birmingham PD a robbery occurred March 14, 2019, approximately 3:45 p.m., at a CVS in the 600 block of Tuscaloosa Ave. Detectives obtained surveillance video images of the pictured person they believe to be involved in this crime. He is described as a black male with dark complexion, 16 to 20 years of age, 5’3” to 5’5” tall, and 160-170 lbs. If you recognize this person, or know anything about this crime, please contact Crime Stoppers of Metro Alabama. You remain anonymous, and the information you provide to Crime Stoppers leading to the charge and arrest of an identified suspect could result in a cash reward.